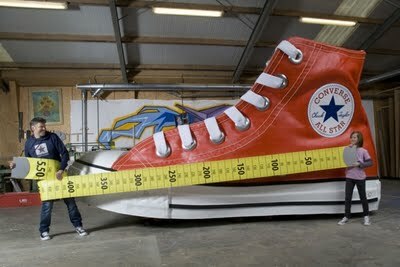 in celebration of Guinness World Records Day 2010. 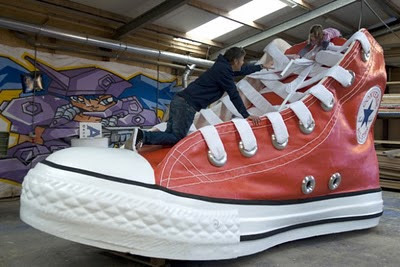 The largest shoe is an exact replica of a Converse Chuck Taylor All Star equivalent of a UK size 845. 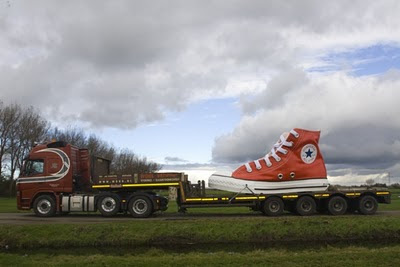 A Converse Chuck Taylor All Star European size 39 was used as a model for the largest shoe.